"We started using J12 in August and LOVE it! We have finished I Must & Bread. We got as much out of it as the kids! As leaders we have noticed that the kids who are there every week are really taking ownership of knowing what is going on and really in tune. But even the kids that are less regular are not lost. I was concerned about that, but each week is fresh enough to gain something even if you aren't a regular. " My name is Paul Konrad. 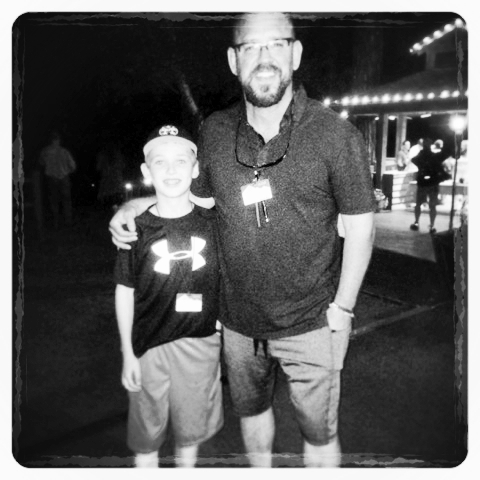 I had the great joy of meeting you last summer at the JH Ranch with my son Klaus. I am writing because I want you to know how valuable your lesson and instruction was for me and Klaus. God used you in our lives in a very significant way. I attached a picture of the two of us to trigger your memory. The other picture is of the shared 'I Must' bands that we have worn daily and often connect around. Klaus has been growing in the ways of the Lord in such a beautiful way. He memorized Proverbs 2 word for word and I was so amazed and over joyed!! Praise God. I am forever thankful for how you are serving the Lord…and how so many have been blessed by your dedication and availability. God Bless you! "My daughter (age 6) and I had the privilege of seeing Pastor Gregg tonight. On our way home, my daughter said, “He is REALLY ‘heartfull’ for God!" Wow. No better words."